Grand Rapids photographer, Emily Najera, contributed her work with other Michigan artists in an exhibit at the Urban Institute for Contemporary Arts. Showcasing Michigan’s role in the artists inspiration, exploration, and creative development, Emily Najera’s series focuses on local architecture. 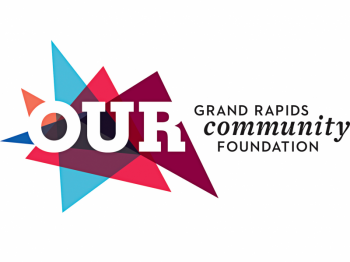 Grand Rapids photographer, Emily Najera, contributed her work, along with other artists, in the Urban Institute for Contemporary Arts (UICA) Coming Home exhibit (Sep 8, 2018 – Jan 25, 2019). The suite exhibition is currently up and displaying a diverse range of artists, both emerging and already established, with a specific root to Michigan. 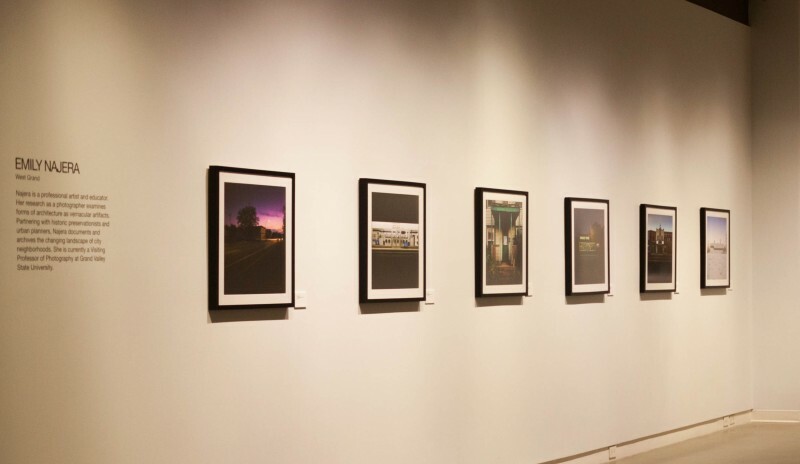 Each of the four artists solo exhibitions showcase Michigan’s role in the artists inspiration, exploration, and creative development; Emily Najera’s photography series specifically showcases Grand Rapids architecture. Through working with historic preservationists and urban planners, Emily Najera’s photography series is documentary of the everchanging landscapes of the Grand Rapids neighborhoods, specifically her own. Najera is an alumna at Grand Valley State University and, since fall 2016, a Visiting Professor in the arts department. Before relocating back, she was the Program Director at Sierra Arts Foundation working with the state and local levels of northern Nevada and California. Through her previous works with arts development and integration planning, Najera shows a passion for community involvement. Her main exploration as a photographer has been to study forms of architecture as artifacts of history. In Najera’s series at the UICA, some of the buildings she photographed are being threated by development providing her work with a quality of urgency and timeliness as they may be in transition from the present to the past. 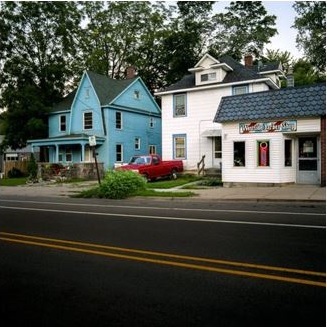 Other images serve to document changes, big or small, in the occurring urban landscape. With previous experience working with curatorial practices and exhibition design aiding Najera, she has developed an eye for vernacular color and incorporates that skill set into her photographs by examining forms of architecture as vernacular artifacts. Executing her unique photography style through repetition of color in location, artistic medium, and specific times of the day, she is able to give her photographs an allusive magical feeling. With set working conditions of morning or evening light and color negative film, she made one to two photographs of each scene. Najera’s consistent technique and developed eye for color within architecture give this exhibited series the same nostalgic feeling one gets when coming home. The Coming Home exhibit, featuring artists Pat Perry (large scale paintings), Jason Quigno (stone), Zachary Trebellas (documentary photography), and Emily Najera (documentary photography), is currently open to the public until the 25th of January.